Here we are again – another Rocksbox review! This is my fourth month with Rocksbox, and I’m as happy as ever with it. In case you didn’t know, Rocksbox is an awesome jewelry subscription service where you pay $19 a month to receive 3 designer jewelry pieces on loan for the entire month, and at the end of the month you can buy any of the pieces at a discounted price or send them all back in the packaging (yes shipping both ways is included in that $19). You also receive a $10 credit each month that can be applied towards any pieces you keep, and you earn credit when you refer friends. To figure out what pieces to send you Rocksbox has you fill out an style profile online, and you can add pieces to you #wishlist and request certain pieces to your stylist. I’ve been obsessed with Rocksbox since month 1 and have ended up buying several pieces from my boxes that I wear all the time. Best part is you can try the first month FREE! Just use the code “cervinoxoxo” at checkout and you get a month of designer jewelry at your door! Every other month I’ve made specific requests of what jewelry pieces I’ve wanted to be sent, and my fairy godmother stylist has made it happen. This month I decided to make no specific requests and decided just to see what happens and I was pleasantly surprised! Alright this necklace? I’m thinking it’s a keeper! It was on my wishlist and the color is perfect for me, and it’s just the right amount of statement for a statement necklace in my opinion. 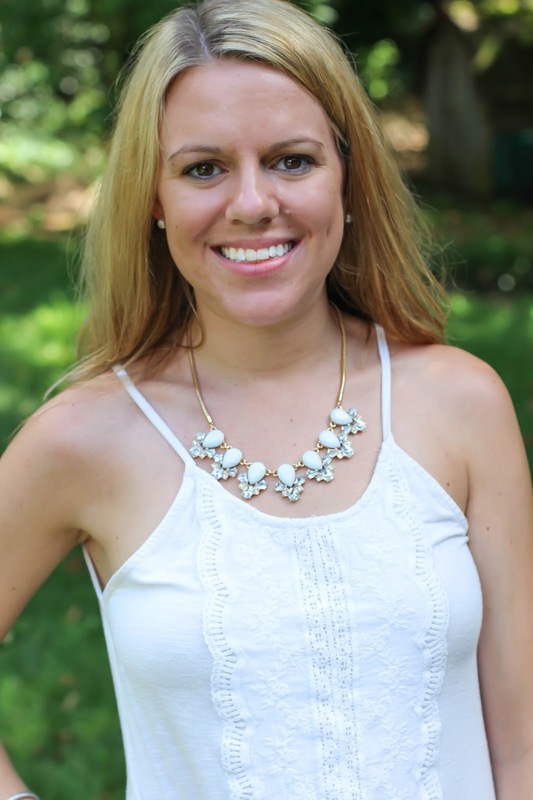 The Perry Street Whitney Necklace is easy to pair with outfits and just makes me happy. It retails for $75 but Shine Insiders’ can buy it for $60. This is way more than I usually spend on necklaces, but my monthly shine spend brings it down to $50. Okay still more than what I spend on jewelry which is the only thing holding me back from purchasing it. The Gorjana Bali Tube Drop earrings are very pretty, but just not my style. These retail for $45 with Shine Insiders’ price of $38. Even though I probably won’t keep these, it was fun to play with a piece that isn’t something I would normally wear! 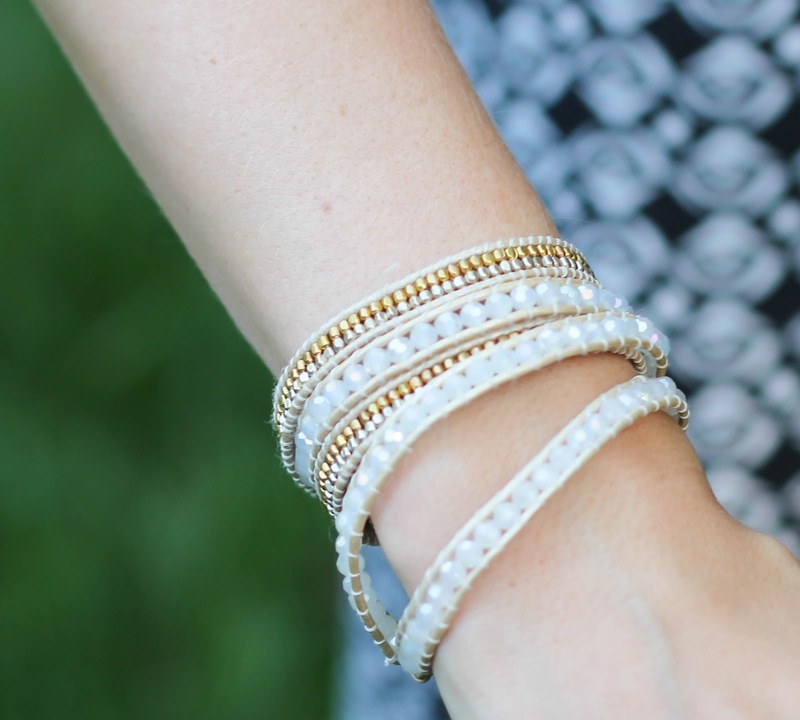 The Nakamol Cream, Gold & Tan bracelet is a fun and classic piece. It retails for $50 but Shine Insiders’ can buy it for $40, which is a great price for a wrap bracelet. I learned how to make wrap bracelets a while ago and have several I’ve made, but this one wasn’t like any of those. The colors are perfect for me since I stick mostly with neutrals, and it actually fits my very small wrist. I’m still torn between whether I’ll keep it or send it back but I’m having a lot of fun wearing it around this month! My June Rocksbox was another hit! 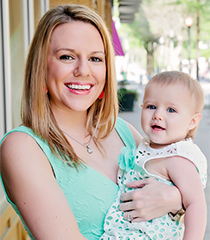 Next month I think I will request a specific piece though – I’m loving Kendra Scott bracelets so fingers crossed my stylist includes one in my July box! Don’t forget if you want to try a free month use the code “cervinoxoxo” at checkout. Now I would love to hear your thoughts – should I keep any of these? What did you get in your June Rocksbox? Let me know below! I really love the idea of rocksbox but I keep telling myself not to get it because I know I will spend money I don't need to spend on jewelry. How long do you get to keep the jewelry if you don't decide to purchase it? Hey Ashley! You get to keep it for the whole month and then you can decide! Beautiful pieces, sounds like a great box and worth the money, Thank you for Sharing!! I def need to get me a Rockbox! So many cute things! They are all so pretty!! 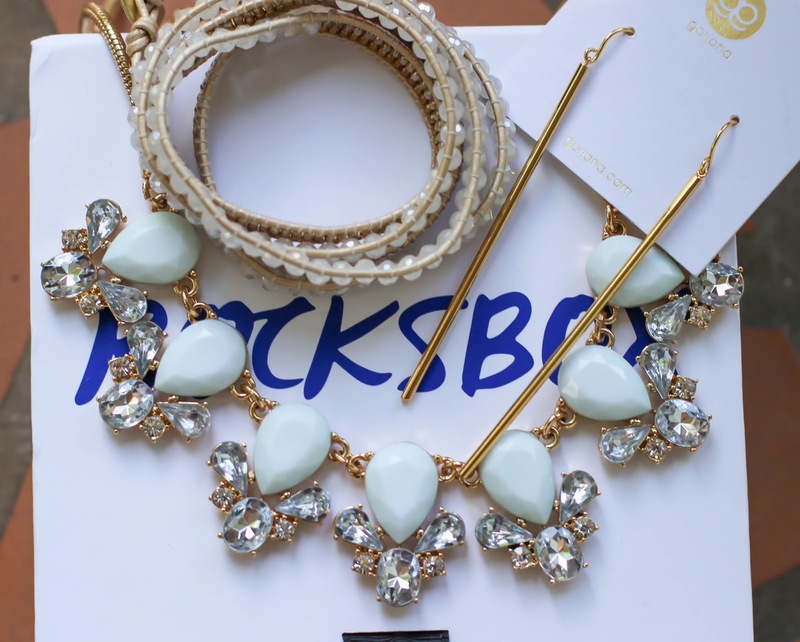 Love the pieces they sent you, I always look forward to my Rocksbox!